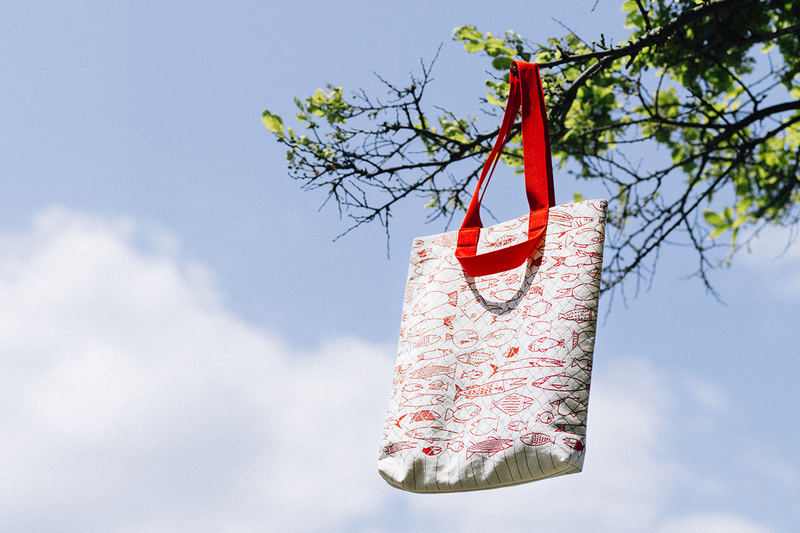 The buona pesca canvas tote bags were designed for the purposes of creating employment in the disaster region. Illustrated by Swiss-based graphic designer Aoi Huber, the name of the pattern, buona pesca, comes from the Italian word for “big catch”. 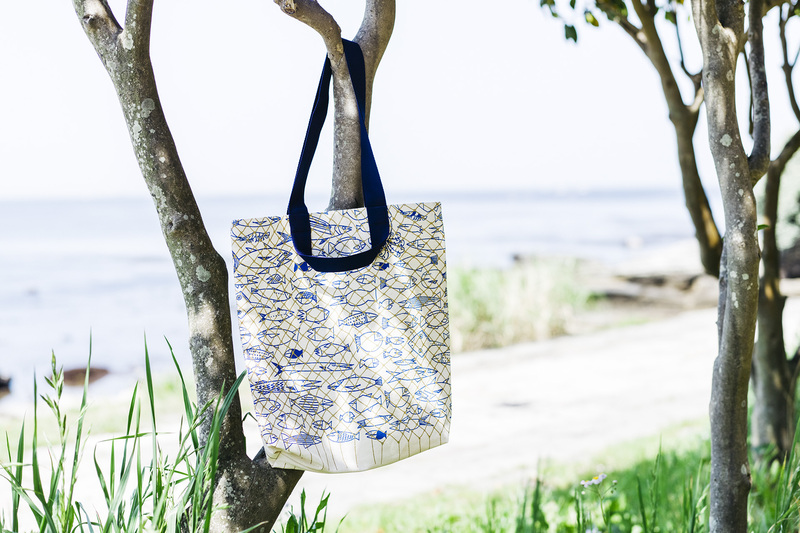 Inspired by the types of seafood that can be found in Minamisanriku, each bag is woven together with care by the wives of local fishermen. There are two sets of straps: one for the shoulders, and a smaller one that can be held with your hands. 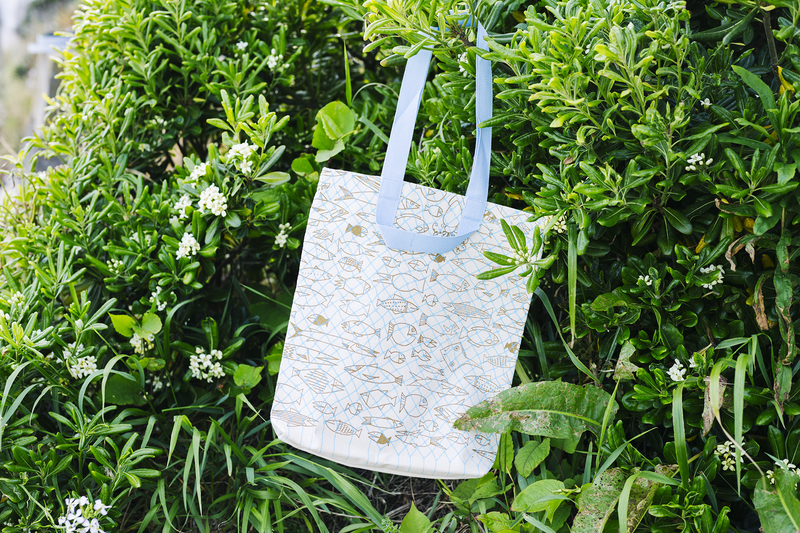 The tote bags come in two different themes, named “sakana” and “unikobuwakame” , which mean fish and sea urchin & seaweed respectively. The L size fits A4 sized papers, making it perfect for everyday use. Born in 1936 in Tokyo, Aoi Huber is a designer and illustrator. In 1962, she moved to Italy after graduating from the Royal Swedish Academy of Arts. While working together with Max Huber on various installations, she also collaborated with different architects and artists, such as Bruno Munari, Mario Botta and Achille Castiglioni. Her most famous works include ‘Animal Puzzle’ and the children book ‘il grande pesce’. She currently lives with her beloved cat Sabato in southern Switzerland. Recently, Huber has worked on a tableware series titled ‘sabato’ made out of Hasami-yaki, a type of Japanese porcelain, as well as collaborated with the stationary and zakka brand DELFONICS to launch a new line of accessories called ‘kiasso’.